Balance Sheet Walk shows how the balance sheet, income statement and cash flow are intimately related. If an item in the income statement (or profit and loss) does not appear in the cash flow statement, it almost always appears somewhere in the balance sheet! The income statement (profit & loss) and the cash flow statement. The income statement (profit & loss) and the balance sheet. All the financial statements are inter-related. See Financial statement analysis and for an example see Financial Statement Links. Balance Sheet Walk is an online resource for balance sheet analysis and the relationship of the key financial statements, the income statement, cash flow and balance sheet. 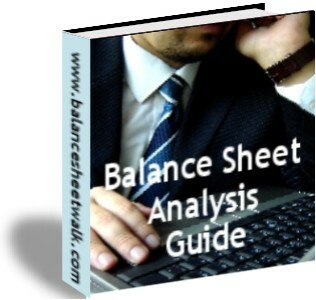 Use www.balancesheetwalk.com to get insights into the financials of any organization.